Thats right. Dillon Francis, the mad man himself, will be playing two sets – one as his alter ego, Deep Haus party legend, Dj Hanzel. Hanzel emerged on the scene as a social media personality developed by Dillon Francis. Poking fun at the ever-growing deep house scene, Dj Hanzel only spins the deepest tracks. If Dillon’s usual jump up, in your face sound is too loud for you, maybe the calm, cool, and collected Hanzel set is more up your alley. Either way, you wont be disappointed. Easily one of the most respected names in the jam band scene, Lotus has been on fire since dropping their most recent album, ‘Eat the Light’, which was released July 15th. Hailing from Philadelphia, the new album was met with glowing reviews at their hometown preview party, which was held at Johnny Brenda’s. Since the release, the band has been sprinkling the new tunes into their sets, mixing the new fresh sound with classic fan favorites. After a day of four on the floor 808’s and piercing snares, sometimes its nice to unwind with a band. Give it a shot, join the dance party! A breath of fresh air to the scene, Bleep Bloop’s bass heavy beats are sure to take your mind to a place you have never been before. Though he is still an emerging artist, he was quick to gain the attention from veterans such as Bassnectar, 12th Planet, and Dj Shadow. His style is diverse and incorporates sounds not normally found in electronic dance music. A truly mesmerizing performer, Bleep Bloop is not an act to miss. These two dubstep legends from the Circus Records family hail from the birth place of dubstep, England. How to describe their sound? Filthy, heavy, and savage are just a few words that come to mind. Cookie and Funty have been mates for years, so the energy and general vibe on stage during a back-to-back set is unmatched. At this set, you can expect to hear a bass heavy onslaught of tracks from all the Circus Records artists which include Flux Pavilion, and Doctor P.
Also hailing from the UK, these two were essentially pioneers of the dubstep genre. Taking dubstep back to its roots, Caspa and Rusko have teamed up to do what they love – throwing oscillating bass waves over slow (but heavy) kicks and snares. Drawing inspiration from reggae, these two have a different sound from the new dubstep dons such as Excision and Datsik. However, their sound is definitely one that you can feel in your chest. Heavy bass patterns paired with laser blasts, horns, and euphoric highs make for a unique experience you wont find elsewhere. 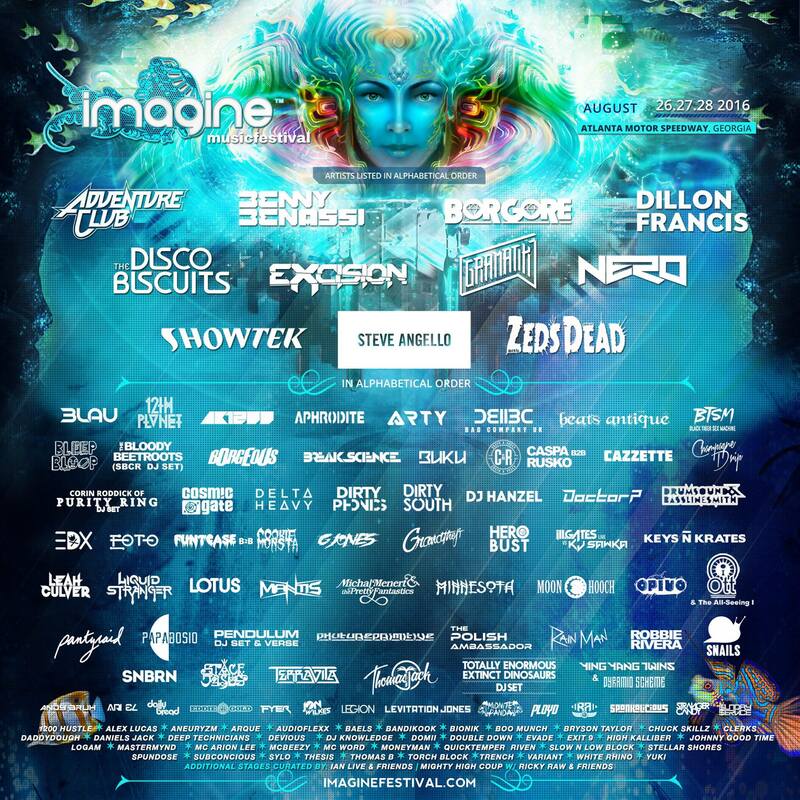 Who are you most excited to see at Imagine Fest? Let me know in the comments!